Jeu, set, match Djokovic 6-4 7-5 6-3. This one was such a weird match from start to finish and certainly not the blockbuster we all expected. The crowd never got into it, the intensity was low and the quality from both sides of the net was poor. Barring a couple of lengthy rallies that were great to watch, the match was error strewn from both players especially so from the Federer racket. Roger started the match well, taking huge cuts on his forehand side and playing very aggressively. His agressive nature worked as he drew first blood to break and lead 3-2. As every Fed fan screamed consolidate at the TV screen they were soon to be disappointed as Djokovic broke straight back. After the promising start Roger went missing and crucially lost serve at 4-5 to hand Novak the first set. The weird thing was how the match started quite well but gradually worsened. One minute you had Roger running round his backhand to attack Nole's second serve and the next he was playing timidly, making way too many errors and not getting enough first serves in play. The fact Roger managed to hit a forehand that bounced well before the net just shows how his game went from good to bad in the blink of an eye. The second set was the weirdest I've seen all tournament and akin to the kind of tennis we seen week in week out in the WTA. Roger started it in the best possible fashion, breaking Djokovic in his opening service game despite being 40-0 down. A quick hold was soon followed by another break and at 3-0 it looked like Roger would be levelling things up or at least so we thought. I mean when do you ever see a double break get overturned in the men's game?? Very rarely! At 3-0 Roger played a very lazy service game, Nole came out swinging and it paid off. Fed wasn't serving terribly but on slow courts Djokovic is able to return aggressively and eventually draw an error from the Federer racket. Even at 3-2 your thinking Fed can still take the set, but surprise surprise he lost serve again. The worst thing about losing 2 breaks was that Djokovic wasn't really having to play well, all he had to do was absorb a couple of aggressive forehands, defend well and he'd end up winning the point. It was just too easy. Probably the lowest moment of the match for me was when Roger broke for the third time to lead 5-4 and serve for the set only to get broken for the third time. Dropping serve 3 times in one set is ridiculous but it soon got worse as he was broken again as Djokovic took the set 7-5. I think by the third set most Fed fans were already resigned to defeat, sure it wasn't beyond the realms of possibility that Roger could come back but considering the way he was playing it was nigh on impossible. One break turned out to be enough to get the job done for Djokovic in Set 3 as he progressed to his first French Open final a 6-4 7-5 6-3 winner. I was struggling, you know, to sort of keep the ball in play, you know, probably long enough, even though I wasn’t hitting the ball poorly. It’s been a tough week for me last couple. Maybe in these conditions today didn’t help me, help the cause, let’s put it that way. I did have enough chances, so it’s no excuse there. I tried, and it just didn’t work out today. What went wrong for Federer? Like I said above this match is stupidly difficult to assess, it was poor from both players so it's difficult to attribute the loss to anything specific. If Roger plays crap and Djokovic doesn't play much better then just due to the nature of Novak's game he will always come out on the winning side. He can defend so well and just plays high percentage tennis, which when Roger is misfiring is more than enough to get the job done. I guess you could say this watch was pretty similar to the encounter in Rome in the sense that Djokovic didn't have to play out of his skin to win, he didn't have to hit a crazy winner when 2 match points down, he just had to get the ball back in play and the match was handed to him on a plate. Was the weather a factor? Maybe slightly but it's the same for both players, I think it's just a case of Djokovic being too solid on the day and Roger failing to put together any of his skills to make any kind of impression. Whilst I was optimistic Roger could win yesterday, I have to say overall the loss was expected. If we look at how he's played over the last two weeks it's been nowhere near the level we expect. Whilst I don't think the first week at a slam determines how a player does in the semi's in the slightest it's always nice to see some sort of progression on a per match basis and despite the final 3 sets against Del Potro, Roger has been generally struggling with his serve and putting points together. Obviously losing any match will hurt but from Roger's actions both on court and in his press conference he didn't come across down beat in the slightest. It's as almost like he knew he wasn't playing well enough to win here and perhaps the fact he knew Nadal was waiting in the final (an almost impossible task on clay) subconsciously played on his mind. Bring on the Grass Courts! Wimbledon is now only two week away and I do hope that Roger can put in a solid performance there. I'd really like to see him win it but with every slam that goes by it's getting harder and harder. I just hope he is 100% fit for it and gives it is all, if he does that then I won't be disappointed. The Olympics is still two months away, Wimbledon is two weeks away so there is still time, but semi-finals is a very good result for any tennis player. I've got to change things for grass anyway and I'm looking forward to that. It's been a difficult clay court season, I wasn't in the best shape physically and maybe I did feel that coming down the stretch. Roger is scheduled to play Halle next week and is drawn to potentially meet Milos Raonic in the third round. For the first time Nadal is playing the event, Nadull usually plays Queens Club but due to UK taxes been too high he's decided to switch to the German event. I guess it depends on the French Open final whether he plays or not, if it's a 6 hour slug fest then he may withdraw. If he did play though then you'd expect him and Roger to meet in the final. I'll go on record and say that if Roger loses to Nadull at Halle then he won't win Wimbledon, it'd be the worst preparation imaginable and would make Nadal even more dangerous at the All England Club. I won't get too far ahead of things though as there's still some tennis at the French to be played, I think if Nadal wins the French and plays Halle then he will probably win it. As annoying as that will be to some Fed fans I think it's the truth. On the flip, if he loses the French and plays Halle then he might be vulnerable, allowing Roger to capitalise and go into Wimbledon the more confident of the two. In Rome against Djokobitch his backhand was very bad , but actually in roland garros his backhand is much better than before but his unforced errors was too much and i just dont how is that ! Yeah his whole game sucked against Djoker in Rome and yesterday in Paris. Who knows why but never gonna win playing like that. The annoying thing is he had plenty chances too! Another Slam goes by and another Slam to be won by either Nadal or Djokovic. I can only shake my head and hope for different at Wimbledon. Tell me about it man, annoying but clay always gonna be tough. Kinda more annoying that he blew a ton of chances in the second set but oh well. I’m hoping for something good at Wimbledon too. Don’t you think he knew he’ll be back up to #2 regardless of the final outcome, and will hope not to face both these adversaries at The Championships? Considering he lost in the quarters there last year, he has a lot of points to gain there – but being #3 is too tough for him. He won’t be back at 2 if Nadal wins. And Wimbledon uses 24 months for their seedings, so he won’t be at #2 for it anyway as his results on grass over 24 months ain’t good. Hardly, being realistic! Best is yet to come in terms of the year so far? Then I hope so too. The grass is really fast at Halle – faster than at Wimbledon – and I don’t think Rafa will make the final if he plays there. Win or lose in the RG final, it’ll be very physical and he may not play either way. Yeah I have a feeling he will withdraw if the French final is crazy tough. I think Fed needs to make the final in Halle. I remember watching the 2011 tennis season and I was often left disappointed in some of Roger’s results. I mean, let’s be honest here, some of Roger’s toughest losses came in 2011. But then he surprised everyone when he was riding a 17 match win streak winning 3 titles along the way. I know it’s frustrating to see Novak and Rafa rack up all of the slams and dominate the game, but if anyone here is truly a Fedfan, then you have to believe that Roger’s time is going to come. You can’t win every single title, every single match, and with Roger at 30, he needs to use up every ounce of energy to get through these guys. I read somewhere that when Roger faces Rafa and Novak he’s “mentally retarded” and I’m starting to see why. Roger usually gets up to a quick start when facing these guys, and his fans go crazy thinking that this is finally going to be his day – then all of a sudden there’s a change. For example: 2011 French, Roger had his opportunities, should have won the 1st set and let Nadal walk away with it. 2010 and 2011 US Open holding match points vs. Novak, let’s him get away. 2011 Wimbledon, up 2 sets to none and let’s Tsonga get away with it. If Roger is going to have ANY kind of success against these guys, he needs to work on closing things out, because that his been his biggest problem in all of these matches. BUT – the positive news is that 2012 has been a different story. He entered the season with confidence from his win streak, and racked up 4 titles already. He’s made the semis at both slams to date, and that’s not a bad result! He just needs to get his act together against these two guys. Even though I said I’d honestly rather see him lose to Novak in the semis at RG rather than Nadal in the finals at RG, the way he lost just bothered me. There isn’t much to draw from it because of the poor play from both players, but Roger really needs to start playing better against these guys if he’s going to have any chance at Wimby and the Olympics, because he will most likely meet with both of them in these events unless the impossible happens. Just overall, Roger’s results so far this year have proven that he still has it in him to go far, but in order to obtain the number 2 or number 1 ranking and win another slam, he’s gonna have to step it up. I guess you’re right about 2012 so far, although the Aus Open he did exactly the same thing – won the first set in the semi against Nadal then lost his way. And was up a break in the first set against Djoker at the French. But since Aus he has been solid in all the other events including beating Nadal in IW. I don’t think it’s a bad thing he lost to Djoker though, as lets face it the prospect of yet another Fedal final on clay was hardly exciting. I think Roger probably felt the same way. I always said I will judge him at Wimbledon and that’s my plan. I enjoy your blog, by the way! I can’t wait to read it after the matches and hear your thoughts. But yes, I agree. It’s funny that you brought up AO12 because even though he won the first set against Rafa, he still lost his way in that set. He was up a break and then all of a sudden Rafa fought back and it went to a tiebreak, which I thought was unnecessary. I also agree that he has been very solid this season and it has been great to watch. But at the same time, he needs to start showing off his form in the slams, and start getting consistent with the top two guys. Because even though I agree that this loss wasn’t much of a loss with Nadal waiting for him in the final (and now that the final is delayed, it’s an even better thing that Roger was out in the semis) I really don’t believe that he felt “unmotivated” because of Nadal being in the final. He’s met with Nadal very many times before at the French, and has always been determined to play his best tennis. Let’s see what happens at Wimbledon and keep our fingers crossed! Yeah maybe not unmotivated as such, but surely the fact Nadal was in the final subconsciously played on his mind. To beat Nadal on clay he’d have to play the match of his life, expend a bundle of energy, risk injury and even then there’s no guarantee he would come out on top because Nadal defends so well and Roger can’t get the upper hand in rallies when pinned to his backhand side. But like you said, let’s see what happens at Wimbledon! I agree that it was a weird match. Roger didn’t play constantly and made more than a lot of errors. I expected a high quality match too, but I was disappointed. Sometimes I don’t understand how Roger can loses control of the match he’s just dominating. (Wimbledon Quarter-final 2011, Semi-final US Open 2011 or this match) He leaded with a double break in the second set! He plays still at the same level like five years ago or perhaps even better, but I think mentally weaker. That’s what I think. That’s how I explain such losses. For me too, this loss was expected, but I think Roger could have won one set. After all I am glad that he reached the semi-final and I am very optimistic for Wimbledon!! Yeah it was a weird one, that second set was crazy. But seeing Rogers presser made me think he isn’t too bothered about it. Perhaps he knows deep down playing a final against Dull on clay will only serve to waste energy. He couldn’t beat the guy on the surface in his prime so at 30 it’s even tougher. Like you say, let’s see what happens at Wimbledon. I didn’t have the live streaming of the match, however I did have live scores from the official website of RG. Watching the 2nd set was pure torture, 3-0 up, broken twice by Djokovic, serving for the set at 5-4, losing the game and been broken again! I had little hope for the 3rd set. Yeah it was crazy, breaking a guy 3 times in a set and still losing it. WTA standard. 3rd set was a formality. because there is more to tennis than just statistics. Of course Eshank, it’s just my thoughts on it. 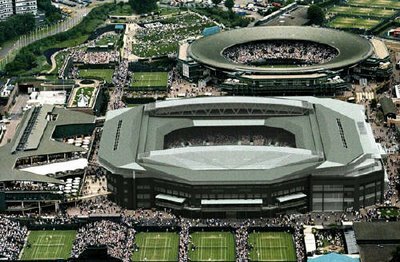 What are your predictions for Wimbledon? i think federer is going to come strong, since we all know grass is his favourite surface and i am prity confident that he would definetiliy like to put his mark once again at the verge of his career. Roger Federer lost the match with a classic Jekyll and Hyde performance, especially in the first two sets. Novak Djokovic was therefore unable to get into much rhythm, but still played much steadier and well enough for the deserved win. Why did Mr. Federer contribute so much to his own demise? Only he knows for sure. We can only speculate. I know it sounds odd, but perhaps looking at the big picture, strategically it made more sense to exit at this point, rather than battle Novak for 4 or 5 sets uselessly, to be followed up by an inevitable Nadal loss in 3 or 4 sets. It allows him to prepare properly for his announced priority of the year, the grass season (Wimbledon, Olympics), by going to Halle, adjusting to the grass there, before heading off to make a run at Wimbledon and the Olympics at Wimbledon. We may be able to evaluate it with more perspective after the next 3 months. Kinda goes back to what I said in the post, purely due to the style Djokovic plays he will always beat Federror because the percentages are are more in his favour. I like your thinking/speculation on the fact Nadal was waiting in the final it played on his mind that it could be a wasted effort to reach the final. It might sound a little far fetched to some but it does make sense. Especially with the way he reacted after losing to Djokovic, it didn’t look like huge disappointment. Anyway, I hope you’re right and if this was a plan all along I hope it works and he does something special at Wimbledon. Nice article, I guess that pretty much sums it up well. I’m from Germany and I managed to get myself a ticket for the Halle tournament, QF day (Friday, 15). Possibly Roger – Raonic, as you mentioned before. Just hope he manages to start well into the grass court season, a loss to Raonic – or even worse, Nadal – could be fatal for his (and therefore: our) dreams of the 17th Major title at Wimby. I still think he’s got at least one more left in the tank, but, as you said, each Slam that goes by is another missed chance for him, especially when considering that Djokovic and Rafa are winning them all. Anyway: the faster the surface, the better the chances are for Roger. P.s. : Just noticed the pictures of Fed’s Wimby outfit. Love the shirt, but the shoes are still as ugly as it gets. They just don’t look Maestro-like. Cheers Rocko and thanks for commenting! Ah sweet, I’d like to visit Halle one day, before Fed retires hopefully, it looks a nice court. You going to get your picture taken under “Roger-Federer-Allee” street sign? I think your fellow countryman Petzschner might beat Raonic you know. Do you think Nadal will stay play now the final has been moved to today? I’d say it has made his appearance 50/50. Regarding the shoes, you’re not the first person to take a dislike to them, guess they are abit Nadal esque! Btw I don’t think Petzschner has any chance of beating Raonic, he’d have to have the best day of his career and Raonic have his worst. He’s not really popular here, anyway. Even if the German men’s division wasn’t as dead as it is right now, people would rather cheer for Haas and Kohlschreiber. But of course I hope for a Petzschner win today, would be a lot more comfortable for Roger on Friday. As for Nadal, it has just been announced on local TV that Nadal will start the tournament tomorrow with his appearance in the doubles. And you’re right about the shoes, they’re indeed “nadalesque”! Cool, you going to pose like Roger – http://imgur.com/13shO? You were right, Raonic got through although it was close! 7-5 7-6, I think Petszschner can be dangerous on grass, he should have beaten Nadal at Wimbledon. Are you a Kohlschreiber fan? I like his game, stylish. Maybe I’ll put a bandana on – don’t know yet. I can’t say that I’m a real fan of any of the current German players (I consider Haas to be another generation), I like Kohli though. Too bad you never know what to expect from him. Since Roger’s participating in this year’s Halle event, his chances of a title defence are down to zero anyway. Unfortunately I’m not on Twitter, but I’m a Follower of yours on FB, guess I’ll be posting some snapshots on your timeline on Saturday. Yeah Haas is close to retirement, talented player though. I’m not hugely active on facebook but I’ll keep my eyes peeled!